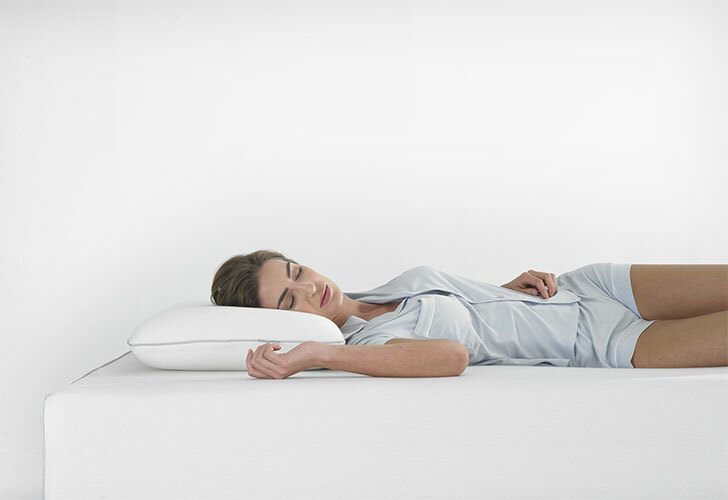 Enjoy the complete Ergoflex™ experience with the all-new Ergoflex™ HD Pillow. Featuring a fully-moulded core developed with high-density visco-elastic memory foam, the Ergoflex™ HD Pillow delivers perfect ergonomic posture support for your head and neck. The Ergoflex™ HD Pillow shapes around you for immediate pressure-relief and instant comfort that lasts the entire night, every night. With the fully-moulded memory foam core of the Ergoflex HD pillow you can say goodbye to nightly ‘pillow plumping’, the problem that blights feather, down and micro-fill pillows over time. The smart high-density visco-elastic core also eliminates the problem of pillow filling shifting and settling in different areas and failing to deliver comfort. Wherever you lay your head you’re assured of perfect support, and whenever you’re ready for sleep, your Ergoflex HD pillow is too – no plumping required, ever. 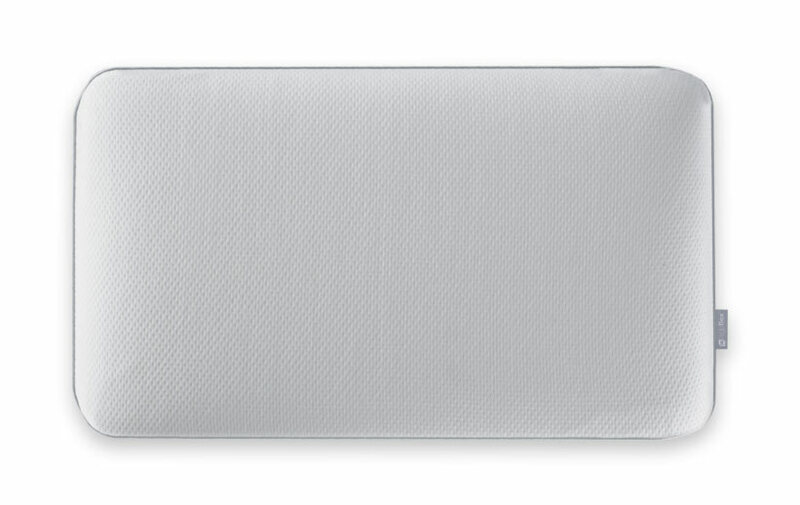 By using high-density memory foam we’ve ensured that the Ergoflex HD Pillow delivers the signature cradling, weightlessness and pressure-relieving support that we’re known for. With a firm feel the pillow gently shapes to provide comfortable support to your head and neck, while avoiding the ‘sinking feeling’ of softer, low-density alternatives. 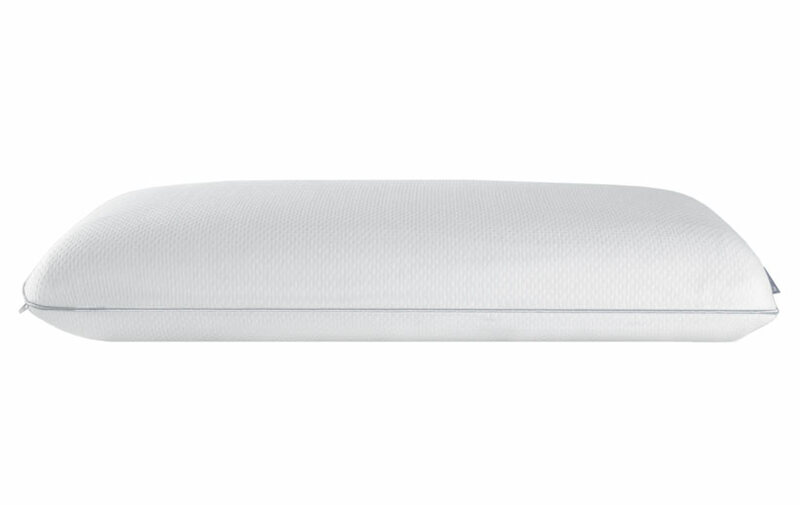 Just like the Ergoflex 5G mattress, the Ergoflex HD Pillow has a luxurious TENCEL™ cover. TENCEL™ is an all-natural material with a cellular fibre construction that delivers high-performance breathability and comfort – making it the perfect match for the Ergoflex® sleep experience. The TENCEL™ cover is also removeable and washable, for lasting hygiene. The pillow is often an afterthought when it comes to bedroom accessories, but it plays a crucial role in both sleep quality and daily wellbeing. A poor pillow can not only ruin an otherwise good night’s sleep, but it can create muscular tension that lasts long into the day. By choosing the Ergoflex® HD Pillow you’re investing in a premium choice that won’t let you down. It’s the perfect finishing touch for a peaceful, rejuvenating and energising sleep. Just like spring mattresses, many types of pillows are notorious for their potential to collect all kinds of unpleasant deposits – from dead skin cells and bodily oils to dust mites and bacteria. Over time this creates a distinctly unhygienic environment, certainly not somewhere you want to be for eight hours a night. The Ergoflex® HD Pillow is different. The solid high-density visco-elastic core prevents and eliminates foreign object build-up, while the material itself is naturally anti-allergenic and anti-microbial. This results in a beautifully healthy and hygienic pillow, with no hidden surprises. Can I wash the Ergoflex™ HD Pillow? No, but the TENCEL® cover is fully removeable, washable and can be tumble dried at low heat. Does the Ergoflex™ HD Pillow come with a warranty? Yes, the pillow is warranted for two years against the unlikely occurrence of material and workmanship problems. Is the Ergoflex™ HD Pillow best for back, side or front sleepers? The pressure-relieving shaping of the visco-elastic memory foam means that the pillow will comfortably adapt to every sleeping position. There’s only one type of Ergoflex™ HD Pillow – is it right for me? We’ve developed the Ergoflex HD Pillow to provide optimum pressure-relieving support, and we know from over a decade of experience in the industry that it represents the best performance for the most varied number of people. However, we appreciate that pillows can be a particularly subjective issue. 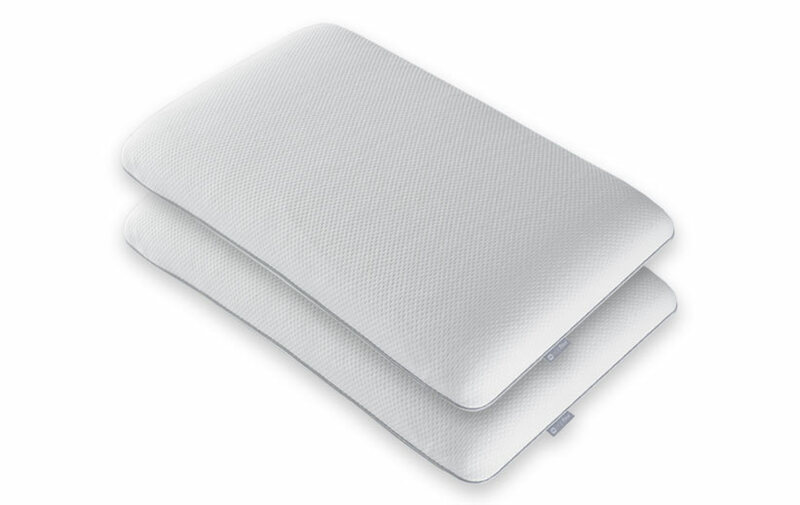 If you prefer a firm or medium/firm pillow and like the feel of support then you’ll love the Ergoflex® HD Pillow. If you prefer a soft pillow and minimal support then we wouldn’t recommend it. What is the firmness level of the Ergoflex™ HD Pillow? Firm. As with all high-density visco-elastic memory foam products the firmness level of the pillow may feel more pronounced during the first few nights of use, before it settles to its consistent firmness level. This is a completely normal performance trait of the material, and effectively represents a ‘breaking in’ period. What is the returns policy on the Ergoflex HD Pillow? Returns period is 14 days from purchase, unfortunately we cannot offer free returns on this item. Why should I choose the Ergoflex™ HD Pillow when there are so many alternatives? There are a lot of cheap pillows, made with low quality materials and workmanship. Choosing such pillows creates a false economy where you’re forced to replace them regularly, while getting a poor sleep experience in the meantime. At the other end of the scale there are many brands promising the ‘world’s most comfortable’ pillow, usually at a high price point. Many pillows from today’s heavily-marketed mattress brands are little more than gimmicks, and none contain the quality of materials of the Ergoflex HD Pillow. In short, if you value your sleep quality then it’s vital to invest in the right pillow, and we believe the Ergoflex HD Pillow is the right choice for ensuring premium performance and support.